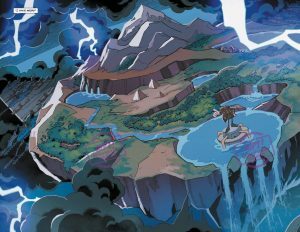 “The Battle for Angel Island,” Part 1. 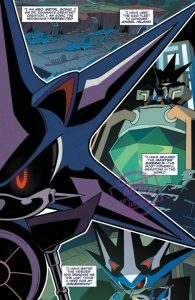 One of the greatest threats Sonic has ever faced descends upon Angel Island, home of the mystical Master Emerald, seeking to take the Emerald’s power and control the world. 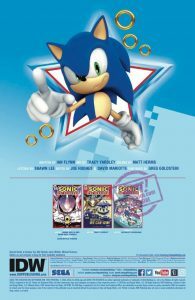 Can Sonic and his friends stop the attack on the island–or is it already too late? 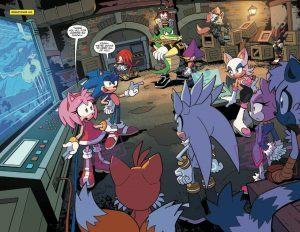 – Tails, Amy, Knuckles, Tangle, Whisper, Shadow… Everyone’s in this issue! – It’s all been building to this! 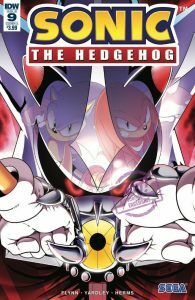 – Variant cover by Nathalie Fourdraine!